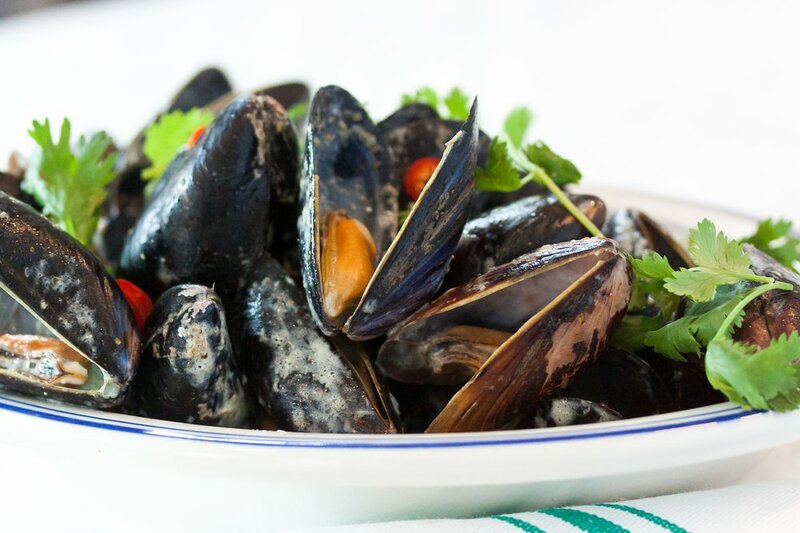 Thanks to the city’s proximity to open waters, seafood has always been an important part of the New York diet. In the early days of settlement, street vendors hawked fresh oysters for just cents apiece; today, a happy hour oyster goes for a buck. New York dining mores have experienced a seismic paradigm shift in the past decade, toppling Old World restaurant titans and making conquering heroes of chefs that champion accessible food served in casual environments. 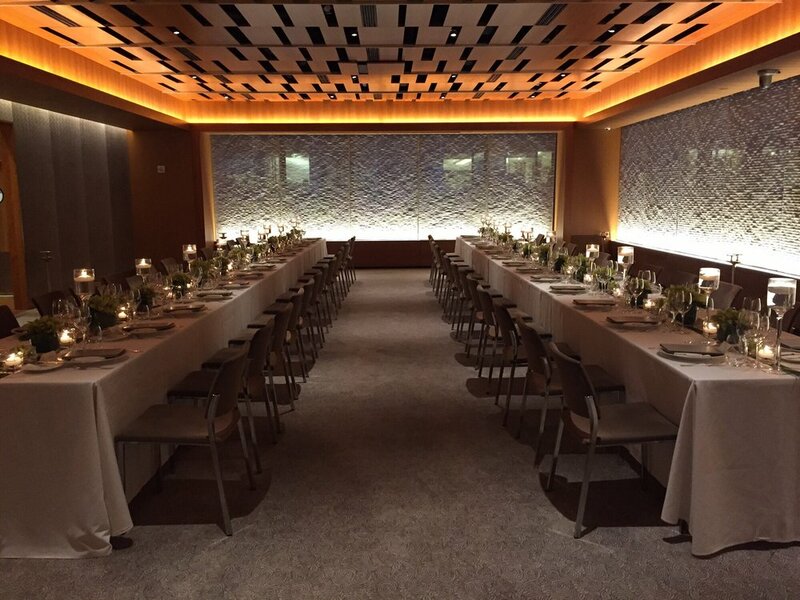 But Le Bernardin—the city’s original temple of haute French seafood—survived the shake-up unscathed. Address: West 51st Street 155 NY US, (212) 554-1515. Fresh seafood is served in this pastel hued dining room on a pleasant SoHo corner that feels like an update of a seaside restaurant (we like the shell-covered light fixtures). Appetizers include a chunky Maine lobster salad, spicy tuna tartare and an ever-changing selection of fresh Atlantic and Pacific Coast oysters. Address: Spring Street 210 NY US, (212) 274-0505. Michael Psilakis’ FishTag is located in the space previously occupied by his gastropub Gus & Gabriel, and an earlier incarnation of his Greek establishment Kefi. The narrow environs feature a bar as you enter, with the dining area towards the back. Psilakis designed the seafood-heavy menu. Instead of the usual divisions of “appetizers” and “entrées,” items are organized with lighter fare on top, heavier and bolder towards the bottom, with suggested beverage pairings conveniently listed alongside. Most dishes are served in small portions at reasonable prices, so to start, consider splurging on the smoked salmon vertical ($40 for samples of all six) or the full charcuterie board ($75). Address: West 79th Street 222 NY US, (212) 362-7470. 4. Greenpoint Fish & Lobster. Half fish market and half seafood restaurant, Greenpoint Fish & Lobster Co. is a celebration of all delicacies from the sea. Light streams into the small tile-filled dining room, with just two tables and a long marble bar. 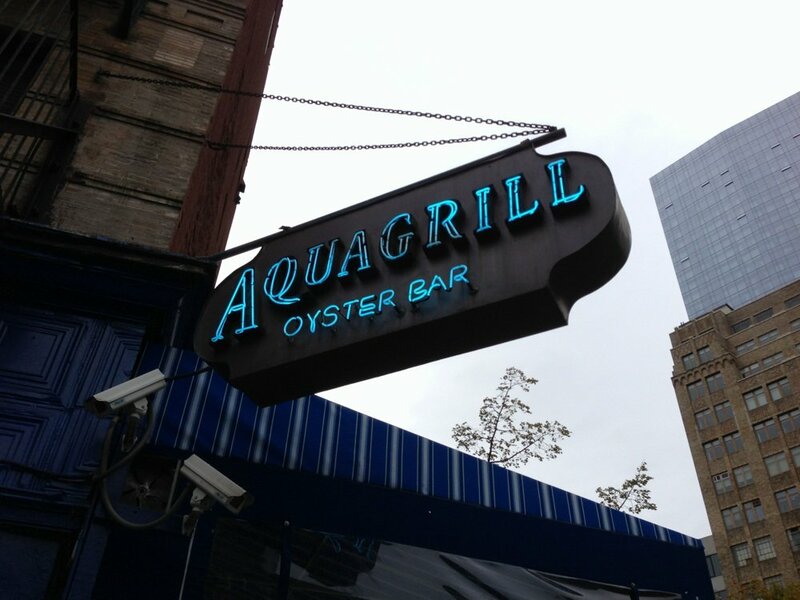 There’s a lobster tank and a raw bar piled high with oysters, littleneck clams, live sea scallops and sea urchin. 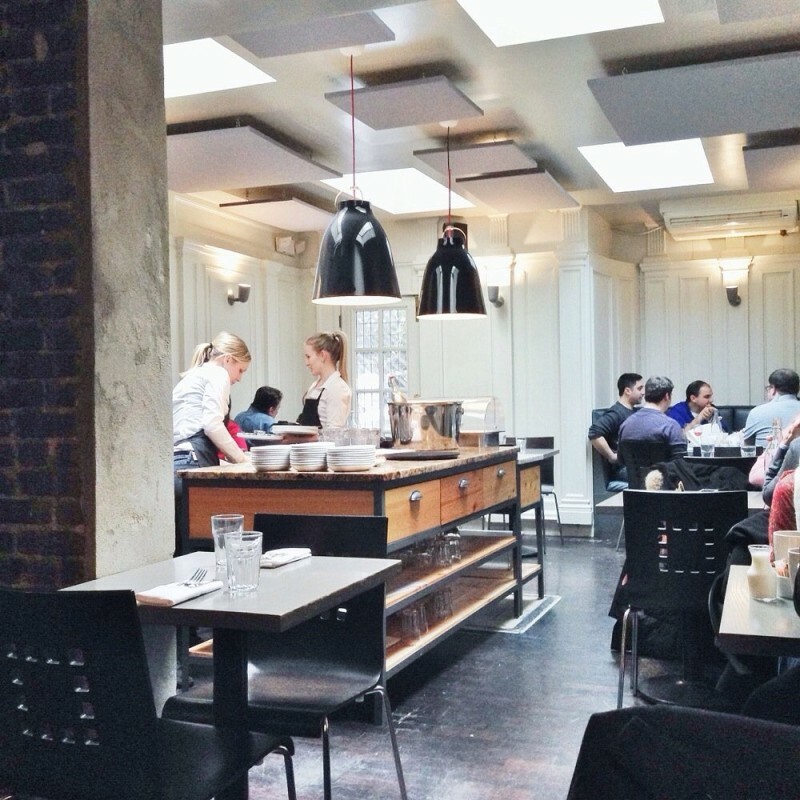 Diners can watch the Greenpoint Fish & Lobster Co. team shuck and prep at the speed of light. Address: 114 Nassau Ave. (Eckford St.), (718) 349-0400. 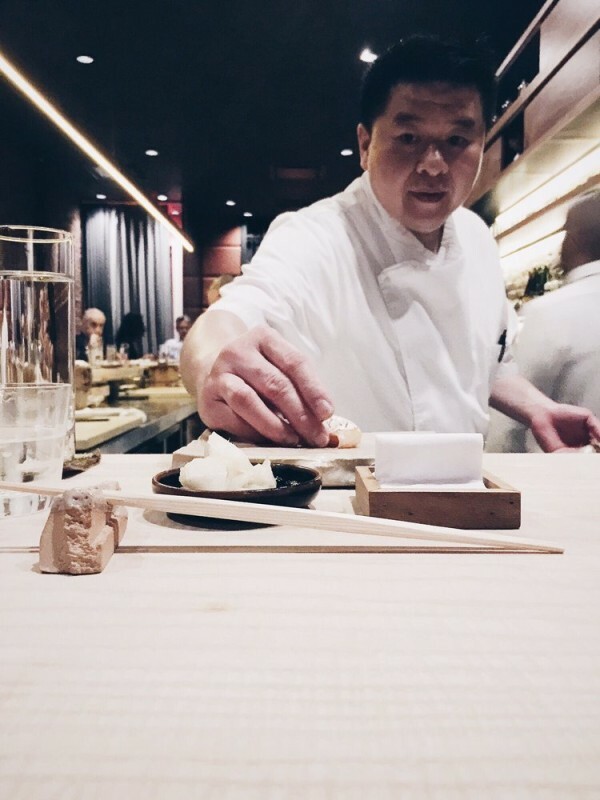 From behind a minimalist ebony counter at Neta, rock-star chefs Jimmy Lau and a beanie-capped Nick Kim—longtime disciples of sushi demigod Masa Takayama—brazenly served peanut-butter ice cream and uni-rich risotto alongside their gleaming, à la carte tiles of nigiri. Address: 47 E 12th St NY 10003, (212) 228-6088.